The Muskegon Day of Gratitude Committee is pleased to introduce Marshal of Books and Literature, Steve LeBel. Muskegon County and the West Michigan shore is a great place to live and work on a novel. Steve LeBel has deep roots in Muskegon and the literary culture of this county. In fact, Verna Aardema Vugteveen, international author honored with a literary landmark at the Hackley Public Library, not only taught at LeBel’s elementary school, she also owned the first house LeBel’s family found when they arrived to make a home in Muskegon. 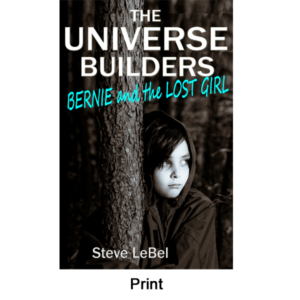 LeBel is the award-winning author of the popular book of fantasy-scifi, the Universe Builders, sold as a paperback and electronic book on Amazon, local bookstores and from a stall at the Muskegon Farmer’s Market during last year’s summer art market. He leads a circle of local successful, published authors who read one another’s work and provide encouragement and editing services inside the circle. With the assistance of the Day of Gratitude team, LeBel’s quest is to gather all of Muskegon’s living authors together for a day of sharing and book selling at or near the farmer’s market and find a way to honor those Muskegon writers who established our literary traditions in years before today. The Marshals of the Day of Gratitude are thought and practice leaders living in our county who pledge to share one aspect of our greatness with all residents and visitors. At this time, the DG has accepted the pledges of Marshals in Photography, Architecture and Literature.